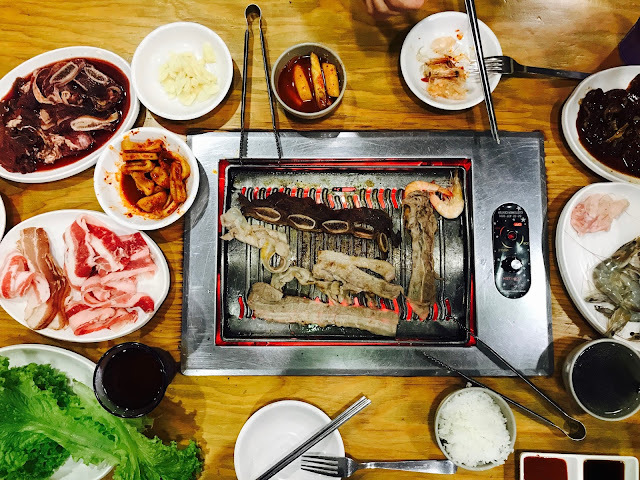 Korean barbecue has become very popular in Singapore over the past few years, thanks to the popularity of Korean dramas. 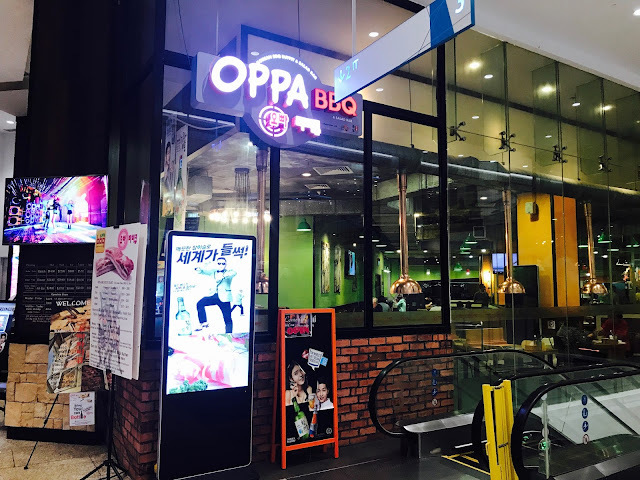 Korean barbecue restaurants have been popping up in Singapore like wild mushroom. 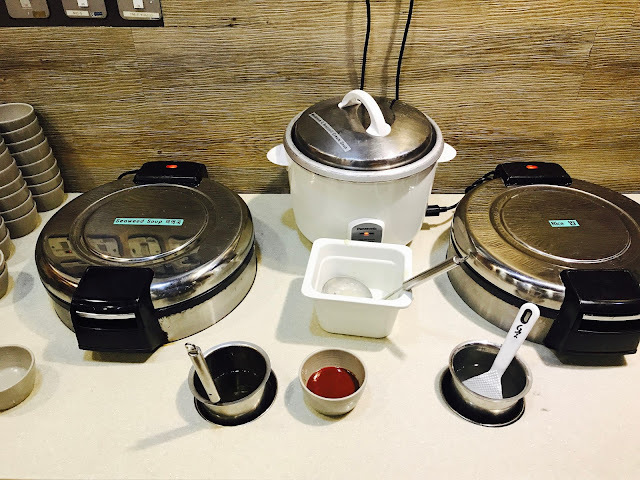 The west side of Singapore is getting its share of Korean barbecue restaurants such as K.Cook Korean BBQ and Steamboat Buffet (Westgate). 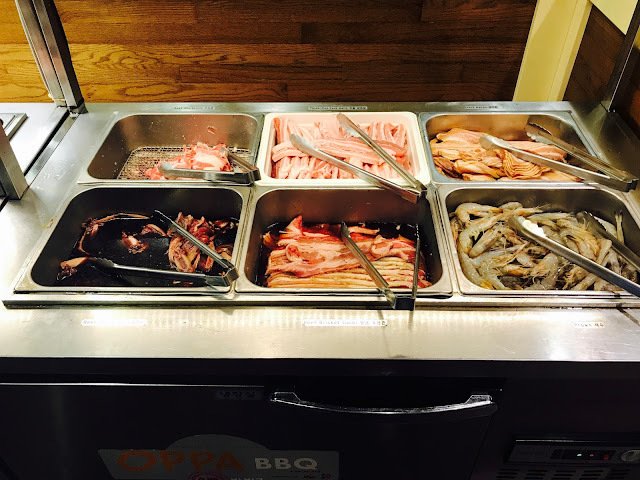 I have recently discovered a hidden gem of Korean BBQ restaurant in JCube. I have actually seen this restaurant quite a few times when I was shopping in JCube, but I have never had the chance to try it out until today. 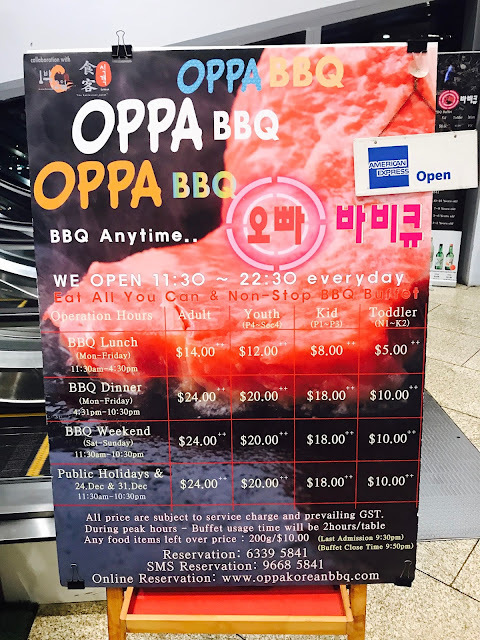 OPPA BBQ’s prices are definitely more wallet-friendly than its cousin K.Cook Korean BBQ and Steamboat Buffet in Westgate. Prices start at $14++ for Adult BBQ Lunch (Monday – Friday 11.30am – 4.30pm) and $24++ for BBQ Dinner (Monday – Friday 4.30pm – 10.30pm), BBQ Weekend (Saturday – Sunday 11.30am – 10.30pm) and Public Holidays (24 December and 31 December 11.30am – 10.30pm). 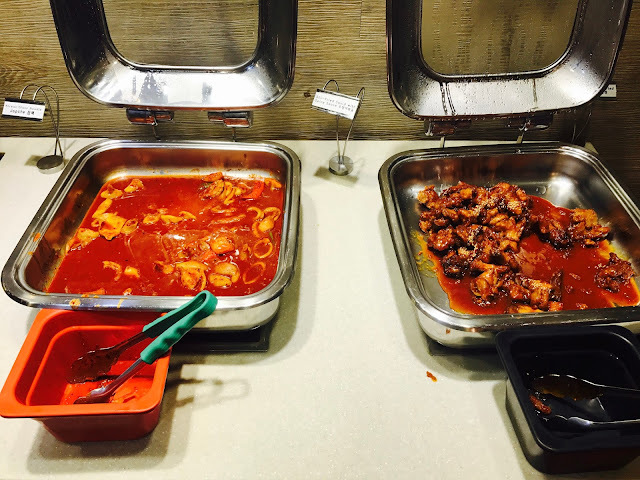 Youths (Primary 4 – Secondary 4) pay $12++ for BBQ Lunch and $20++ for BBQ Dinner, BBQ Weekend and Public Holidays. Kids (Primary 1 – Primary 3) pay $8++ for BBQ Lunch and $18++ for BBQ Dinner, BBQ Weekend and Public Holidays. Toddlers (Nursery 1 – Kindergarten 2) pay $5++ for BBQ Lunch and $10++ for BBQ Dinner, BBQ Weekend and Public Holidays. 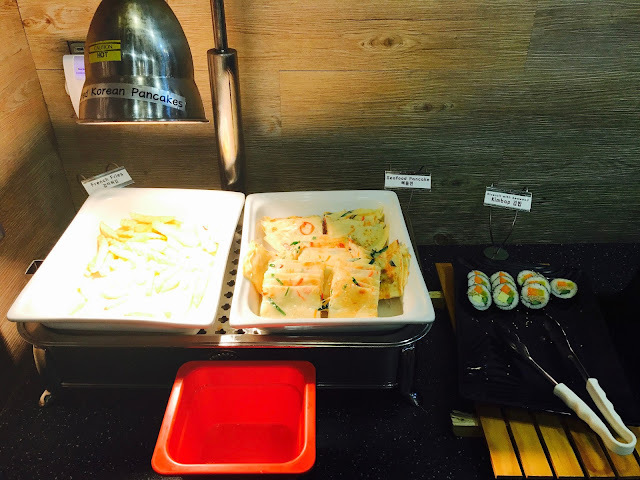 There are cooked Korean snacks such as Spicy Rice Cake (Topoki), Korean Glass Noodle (Japche), Stir-Fried Squid with Spicy Sauce, French Fries, Seafood Pancake and Rickroll with Seaweed (Kimbap) to whet your appetite as your food is cooking. 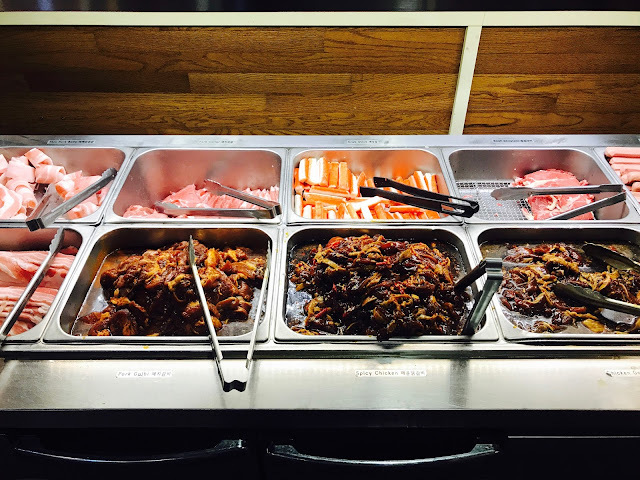 There is a good selection of meats from Thin Pork Belly and Pork Collar to Beef Striploin and Pork Golbi. My favourites are the Thick-Cut Pork Belly and the Spicy Chicken, the latter having achieved the delicate balance between sweet and spicy. 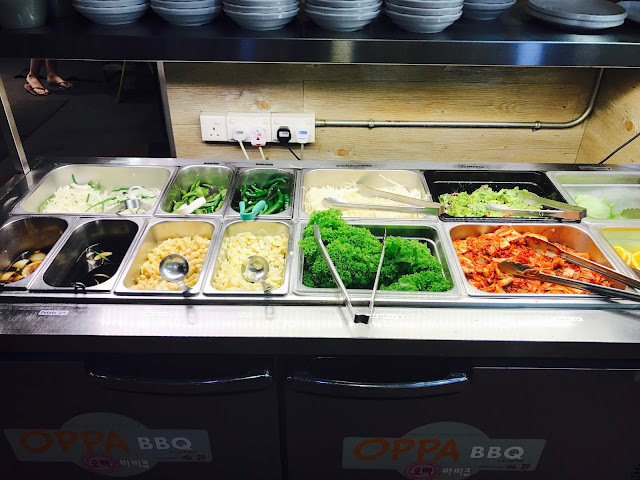 All the ingredients you need to make Korean lettuce wrap (sambap)are all readily available: spring onions, green chilli, sliced onions, lettuce, kimchi, rice, seaweed soup among others. 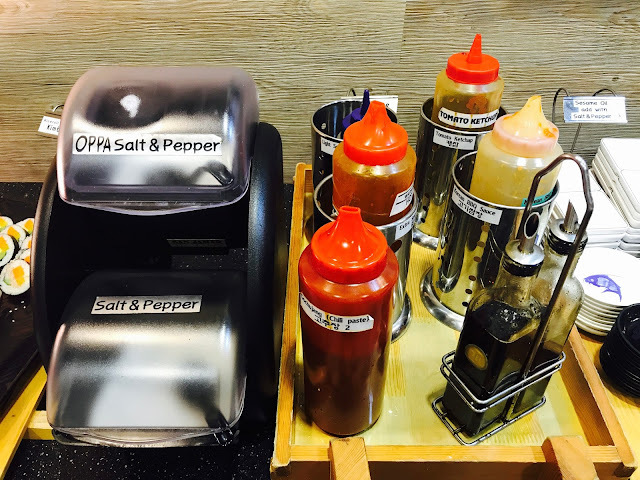 Condiments include salt and pepper, gochujang (chilli paste), light soy sauce, tomato ketchup and Korean BBQ sauce. 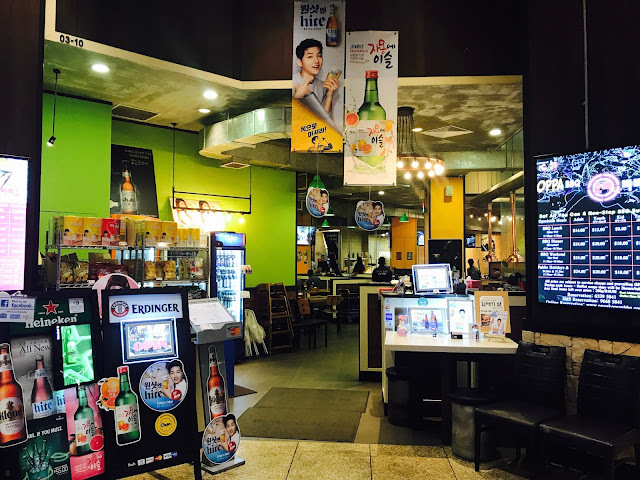 Besides Hite Beer [$9], OPPA BBQ also carries Erdinger Beer [$11] , Heineken Beer [$11], Tiger Beer [$10], Cass Beer [$9], Makgeolli [$16], Shamsul Soju [$16] and Grapefruits Soju [$15]. 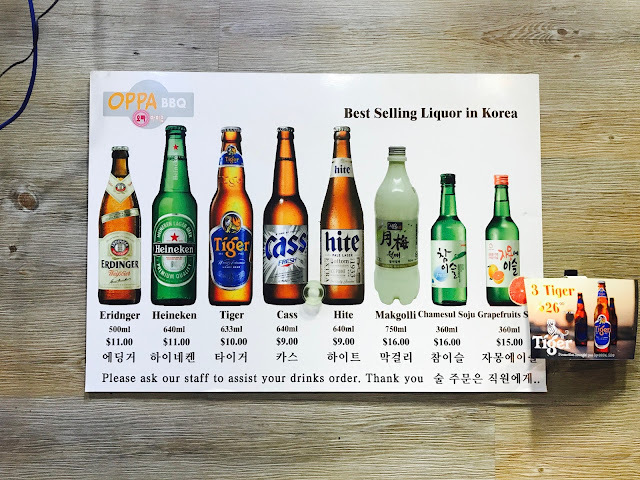 There is currently a promotion going on where you can get 3 Tiger Beer for $26. I am totally in love with OPPA BBQ, not only because I get to see Song Joong Ki’s handsome face on Hite Beer posters all around the restaurant, but also because the economic prices and friendly service means I can enjoy myself with an ease of mind. 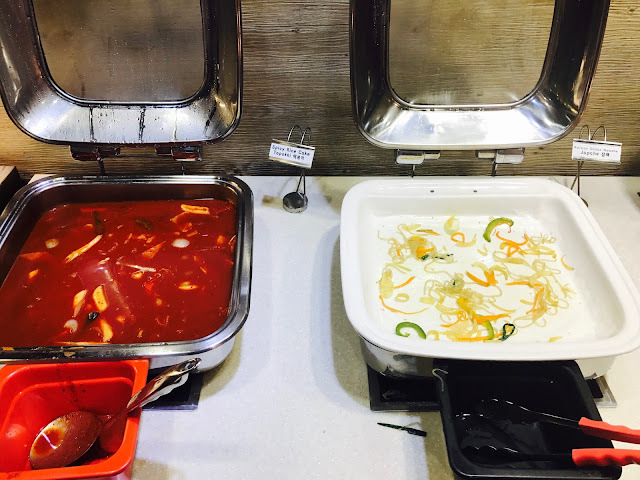 Do note that buffet usage time will be restricted to 2 hours per table during peak hours and there is a penalty of $10 for every 200g of food wastage.